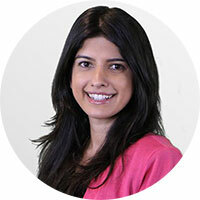 Neda Amidi serves as a Partner and Global Head of Health at Plug and Play. She leads investments in digital health and biotech startup companies. She is responsible for global partnerships with corporations including Johnson & Johnson, Cleveland Clinic, Sanofi, Roche, and others. Prior to Plug and Play, Neda worked at Zamzee, a wearable technology startup for teens and Zong, a mobile payment startup which was acquired by PayPal for $240 million.